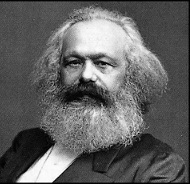 While paying homage to Marx for his profound understanding of “the laws of motion of the capitalist mode of production,” most contemporary economists argue that, nonetheless, his economic analysis cannot be of much service when it comes to the study of modern banking and big finance, since these are relatively recent, post-Marx developments. I will argue in this essay that, in fact, a careful reading of his work on “fictitious capital” reveals keen insights into a better understanding of the instabilities of today’s financial markets . It is true that his discussions of fictitious capital remained brief and fragmented. Nonetheless, what he wrote (in broad outlines) on the distinction between “money capital and real capital,” between productive and unproductive labor, and between speculative and real investment can be of significant interest in relations to the rise of finance capital and its destabilizing effects on the advanced market economies of our time . The Marxian theory of value, as the product of human labor generated in the process of production, and its twin theory of surplus value—value over and above the cost of production—as the source of profit, interest and rental incomes implies that, to have a viable economy, the monetary sum of these various types of incomes cannot deviate much from the total surplus value created in the process of production. In other words, the overall sum of money incomes and/or profits in an economy is limited, ultimately, by the total amount of real values produced in that economy. Policy implications of this theory in terms of what really sustains an economy are enormous, as it can readily alert policy makers to the dangers of an impending economic crisis when deviations of monetary magnitudes from real-value magnitudes tend to become too big and, therefore, unsustainable. This stands in sharp contrast to the mainstream/neoclassical economic theory that, instead of human labor, views ownership and/or management as sources of profits, or economic surplus. Accordingly, there are no systemic limits to the amounts of income/profits made by “smart” capitalist managers and financial “experts”: it all depends on how creative they are, including all sorts of clever “financial innovations” that could create paper or electronic wealth out of thin air, without being limited by any underlying real values. Not surprisingly, most mainstream economists did not see a problem with the astronomical growth of fictitious capital (relative to industrial capital) in the immediate period preceding the 2008 financial implosion. Indeed, not long before the market crash, these economists were cheerfully predicting that there would be no more major crisis of capitalism because “creative financial innovations” had essentially insured the market against risk, uncertainty and crash. The Marxian theory of financial instability (and of economic crisis in general) goes beyond simply blaming either the “irrational behavior of economic agents,” as neoliberal economists do, or “insufficient government regulations,” as Keynesian economists do. Instead, it focuses on the built-in dynamics of the capitalist system that fosters both the behavior of the market agents and the policies of governments. It views, for example, the 2008 financial meltdown as the logical outcome of the over-accumulation of the fictitious finance capital, relative to the aggregate amount of surplus value produced by labor in the process of production. Instead of simply blaming “evil” Republicans or “neoliberal capitalism,” as many left, liberal and Keynesian economists do , it focuses on the dynamics of “capital as self-expanding value,” as Marx put it, that not only created the huge financial bubble that imploded in 2008, but also subverted public policy in the face of such an obviously unsustainable bubble. In other words, it views public policy not simply as an administrative or technical matter but, more importantly, as a deeply political affair that is organically intertwined with the class nature of the capitalist state, which has increasingly become dominated by powerful financial interests. To the extent that the depreciation or increase in value of this paper [assets] is independent of the movement of value of the actual capital that it represents, the wealth of the nation is just as great before as after its depreciation or increase in value. . . . Unless this depreciation reflected an actual stoppage of production and of traffic on canals and railways, or a suspension of already initiated [productive] enterprises . . . the nation did not grow one cent poorer by the bursting of this soap bubble of nominal money-capital (emphasis added0 . The answer, he points out, depends on the stage of the development of capitalism. In the earlier stages of capitalist development, that is, before the rise of big banks and the modern credit system, growth of finance capital was regulated or determined by the growth of industrial capital. For, in the absence of monopolistic big banks and modern credit system the dominant form of credit consisted of commercial credit. Under commercial credit system, where one person lent the money to another in the reproduction process (for example, the wholesaler lent to the retailer, or the retailer lent to the consumer), finance capital could not deviate much from the industrial capital: “When we examine this credit detached from banker’s credit it is evident that it grows with an increasing volume of industrial capital itself. Loan capital and industrial capital are identical here” . But at higher stages of capitalist development, where banks scoop up or centralize and control national savings, the growth of finance capital no longer moves in tandem with the growth of industrial capital. Under these conditions, “Profit can be made purely from trading in a variety of financial claims existing only on paper. . . . Indeed, profit can be made by using only borrowed capital to engage in (speculative) trade, not backed up by any tangible asset” . These brief passages reveal that Marx makes a clear distinction between real profit and profit from financial bubbles. While real profit is rooted in, and therefore directly limited, by production of surplus value, profit from inflation of fictitious capital (or asset price inflation) is not—at least, not directly, immediately, or in the short-term. Marx distinguishes between a variety of profits and/or incomes—all dependent, ultimately, on the amount of surplus value created by human labor in the process of production. The main and the obvious category is profit that results from manufacturing or real production, or profit of “enterprise,” as Marx called it. According to his labor theory of value, profit of “enterprise” is essentially unpaid labor. Starting from production, he expresses the value of total gross national product (GNP) by this simple equation: GNP = C + V + S, where C stands for “constant” capital (or depreciation and inputs, including raw materials), V stands for “variable” capital, which is the equivalent of (production) wages, and S stands for surplus value, which is the basis of (production) profits, or profit of “enterprise.” Interest payments for borrowed (and invested) capital as well as rental payments for the space rented for doing business would be deducted from the profit of enterprise, or surplus value. A second category of profits, according to Marx, is “profit upon alienation or expropriation,” which comes from capitalists’ appropriating part of the workers’ income or wage in the form of interest or rent. When workers’ pay (V in the above equation) is below the “subsistence” level, i.e., they are not paid a living wage, they often resort to borrowing to supplement their inadequate earnings. Frequently this leads to indebtedness and, therefore, the appropriation of part of their income by bankers and other money-lenders. This “financial expropriation is based on re-dividing the existing flows of money incomes, and thus amounts to a zero-sum game”: lenders gain what borrowers lose. Marx characterizes this type of financial gain by lenders at the expense of borrowers profit from “secondary exploitation”—as distinct from profit from “primary exploitation,” or profit of “enterprise,” which as mentioned in the previous paragraph, is based on the extraction of surplus value in the process of production. Both the profit of “enterprise” and profit upon “alienation” are made within the sphere of production; they both come from net national product, or value added (S +V in the above equation). However, there is also another type of profit whose connection to real values is indirect or submerged, and whose scope for expansion is, accordingly, much wider; it is the profit from fictitious capital, that is, profit that is made on paper or computer keyboards in the financial sector through trading or speculation in financial assets. This type of profit, and its accumulation into more fictitious/parasitic capital, is the main source of financial bubbles and bursts. It follows from this distinction between various types of profits/incomes that exploitation in the process of production (as measured by the ratio of surplus value and necessary value, or approximately profit-wage ratio, which Marx calls the rate of exploitation) and exploitation upon “expropriation,” or “alienation,” go hand in hand: as the former intensifies so does the latter. For example, the rise in the profit-wage ratio in the U.S. over the past several decades has been accompanied by a corresponding rise in indebtedness, or in a larger and larger share of working people’s income/wage being expropriated (in the form of debt servicing) by lenders. So, the distinction between different types of profits/incomes is not simply an academic exercise, or “a radical but impractical Marxian concept,” as most of the befuddled contemporary economists would opine. More importantly, it finds close relevance to actual economic categories, developments, and trends. Not only does it show, for example, the sources of various types of incomes/profits, that is, how national resources are appropriated or distributed, but also the material foundations and limits to real economic growth, as well as the sources and limits to financial bubbles. As noted earlier, most contemporary economists, including many on the left, argue that since Marx lived and wrote in an era prior to the rise of big finance he could not have foreseen the destabilizing influences of financial bubbles on a relatively advanced market economy. A careful reading of his work on “money capital and real capital” reveals, however, that he did, indeed, discuss scenarios of systematic outflows of finance capital (which he interchangeably called “money hoards,” “surplus-capital,” or “money-capital”) from the sphere of production into the realm of speculation in pursuit of higher returns; thereby paving the way for the rise of financial bubbles and bursts. Not only did Marx envision scenarios of finance capital shunning or abandoning the sphere of production in pursuit of higher returns in the sphere of speculation, his analysis of the dynamics of such scenarios or developments, which could lead to financial bubbles and bursts, is indeed much deeper and richer than those of contemporary economists . According to these economists, both neoliberal and Keynesian, any discrepancy or imbalance between finance capital, which they call it aggregate national savings (S), and real capital, which they call it aggregate national investment (I), would be temporary and, therefore, non-problematic because, they argue, the imbalance between S and I would soon be rectified either automatically by the forces of supply and demand (neoliberals), or by government intervention (Keynesians). In the neoliberal view, the balance between S and I is guaranteed by market mechanism: an excess of S over I would be only short-lived as this (temporary) oversupply of loanable funds would soon lead to lower rates of interest, which would then encourage businesses/manufacturers to borrow and invest more. This process of borrowing and investing the cheapened S would continue until the excess S is used up and equality between S and I is restored. In the Keynesian view, however, such a spontaneous or automatic restoration of balance between S and I is not guaranteed, which means that a situation of S>I, or insufficient investment spending, may persist for a long time. Under conditions of relative uncertainty and weak demand, even low interest rates would not induce manufacturers to borrow and invest, or expand. Under such conditions, the government can step in, borrow the “idle” savings and spend them (“in behalf of their wealthy owners,” as Keynes put it), thereby closing the savings–investment (or income–expenditures) gap. In the Marxian view, by contrast, the discrepancy or the gap between speculative “surplus capital” and productive investment can persist, or even widen, with calamitous consequences in terms of financial bubbles and market instability. Pointing out how in the age of big banks finance capital can grow independent of industrial capital, Marx writes: “The subsequent credit swindle proves that no real obstacle stands in the way of the employment of this surplus-capital,” a scenario that could precipitate asset-price inflation, or financial bubbles . After thus pointing out that the limits or boundaries of the speculative finance capital are much wider than those of the industrial capital, he then cautions that this does not mean that speculative capital can expand indefinitely: “However, an obstacle is indeed immanent in its laws of expansion, i.e., in the limits in which capital can realize itself as capital” . In other words, a giant bubble of fictitious values on a narrow base of real values can expand only to a certain extent; it is bound to burst beyond that extent. In brief, Marx’s discussion of the systemic and systematic outflow of finance capital from the sphere of production to the sphere of speculation in pursuit of higher returns shows that, contrary to widespread perceptions among contemporary economists, Marx did, indeed, envision scenarios of the emergence of financial inflations and deflations, or bubbles and bursts. The discussion further signifies the superiority of his analysis of the relationship between industrial capital and (parasitic) finance capital over those of neoclassical economists, according to whom any outflow of finance capital from the sphere of production would be temporary and non-problematic, as it would soon be reverted back to the real sector of the economy (either by the invisible hand of the market mechanism a la neoliberalism, or by the state’s visible hand a la Keynesianism) to be invested productively. Therein lies the tragedy of mainstream/neoclassical economists: in their paranoid fear of Marx, they have essentially censored his economic views, thereby depriving themselves of the richest analysis of capitalism. In so doing, they have also succeeded in reducing economics as an academic discipline to what Professor Michael Hudson aptly calls “junk economics,” the official labelling of the discipline as a “science” notwithstanding. This essay draws heavily on Chapter 5 of my book, Beyond Mainstream Explanations of the Financial Crisis: Parasitic Finance Capital (Routledge 2015). Karl Marx, Capital, vol. 3, New York, International Publishers 1967, chapters 25-33. See, for example, David Kotz, “The Financial and Economic Crisis of 2008: A Systemic Crisis of Neoliberal Capitalism,” Review of Radical Political Economics, vol. 41, no. 3 (2009), pp. 305-317. This passage is based on Marx’s discussion of “Speculation and fictitious capital,” as quoted in Wikipedia: <http://en.wikipedia.org/wiki/Fictitious_capital#cite_note-1>.